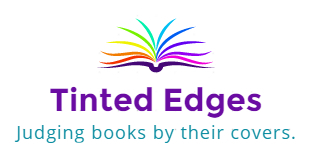 Tinted Edges – my companion tumblr that I forget I have. Lost Magazine – a magazine I write for. Feminartsy – another magazine I write for. Homer – another, another magazine I write for. NaNoWriMo – the website for National Novel Writing Month. What’s That Book – a Reddit forum where people try to help each other remember forgotten books. Goodreads – a great website for keeping track of what you’re reading, checking out reviews, following authors and reviewing books yourself.